The following was posted on the web site of the NF Walker funeral home in Merrick. Philipp, Rev. Thomas J, 82, on Wednesday, June 13, 2018, of Brookhaven, NY, following a brief illness. Son of the late William B. and Martha Philipp. Loving uncle of the Rev. Rachel Philipp Vione (Joseph), Elizabeth Philipp (David Pettker), Timothy Philipp and Joseph Philipp. Dear brother of the late Rev. William P. Philipp, and brother-in-law of Lois Philipp. Great uncle to Joseph and Amanda Vione and Andrew, Nicholas and Katherine Pettker. Beloved pastor of the wonderful congregation at Old South Haven Presbyterian Church in Brookhaven, NY, since April 2006. Tom graduated from Minnehaha Academy, and Macalester College in St. Paul, MN; the State University of NY at Oswego, and Union Theological Seminary in New York City. He was ordained to the Christian Ministry on June 17, 1962, at Randolph Heights Presbyterian Church in St. Paul. Tom dedicated his life to caring for others and championing the underdog and those in need. He was the former President of the Nassau County Coalition on Family Planning, Executive Director of United Campus Ministries, Protestant Chaplin at Hofstra and Stony Brook Universities, Chair of Personnel for the Long Island Council of Churches, Moderator of the Presbytery of Long Island, founding member of HOME (Housing Opportunities Made Equal), member of the Board of Directors of Planned Parenthood, President of South County Peace Group, supporter of More Light, Honoring All Voices, and Presbyterian Welcome. Tom was a tireless advocate for inclusivity and welcoming all persons, regardless of race, age, sexual orientation, background or social position, into the fellowship of the church. In 2012, Tom was awarded the Unitas Award from Union Theological Seminary, which is given to the Distinguished Alumni/ae of the seminary. Tom was honored for his commitment to the "two-legged" gospel: the ministry proclaiming Jesus Christ as savior and the ministry of social justice. On June 17, 1987, the Community Presbyterian Church of Merrick, where Tom served as pastor for 24 years, held a celebration in honor of the 25th anniversary of his ordination. On June 17, 2012, the Old South Haven Presbyterian Church held a celebration in honor of the 50th anniversary of his ordination. Tom preached his last sermon at Old South Haven on Sunday, May 3, 2018 and celebrated the Sacrament of The Lord's Supper that day. He maintained his wit, sense of humor, convictions and kindness right to the end. 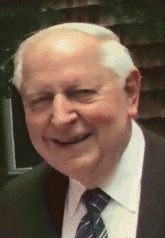 At the time of his death, he was the oldest, actively serving pastor in the Presbytery of Long Island. Tom previously served as pastor in Watervliet and Oswego, NY. Tom's passion was for education, and he taught many in the classroom and in life. His true vocation in life was as a faithful disciple of Jesus Christ. Tom was a patron of the arts and a lover of music and theater as well as a good scotch. He was a mentor, counselor, wisdom-bearer and friend to many. He will be missed by all who knew him. Visitation will take place on Friday, June 22 from 7:00-9:00 PM at the NF Walker Funeral Home; 2039 Merrick Ave, Merrick, NY. 11566. The Funeral Service and Witness to the Resurrection will be held on Saturday, June 23 at 11:00 AM at Old South have Presbyterian Church; 329 S. Country Rd., Brookhaven, NY 11719 with Tom's niece the Rev. Rachel Philipp Vione officiating. Union Theological Seminary, 3041 Broadway, New York, NY 10027.